IFAD has been providing support to Kiribati since 2007 when it financed its first operation together with SPC and FAO to strengthen the Atolls Centre of Excellence. It expanded collaboration with the inclusion of several sites from the outer islands of Kiribati in the regional programme called Mainstreaming of Rural Development Innovations (MORDI). In MORDI, starting in 2008 IFAD financed work on community planning and development in partnership with the Foundation of the Peoples of the Pacific Kiribati, (FSPK). More recently, through financing provided in a regional effort with the Pacific Organic and Ethical Trade Community, IFAD has helped promote participatory certification of certified organic coconut oil and coconut sugar production in Kiribati. The current project, Outer Island Food and Water Project (OIFWP) came into force in September 2014. Targeting the four outer islands of Abebama, Beru, North Tabiteuea and Nonouti, OIFWP promotes improved household food security and nutrition as well as clean water through rainwater harvesting and community planning and action activities. OIFWP aims to reach the entire population with a specific focus on women and young people. IFAD's investments target poverty reduction, food security, improved nutrition and resilience, particularly to climate change. 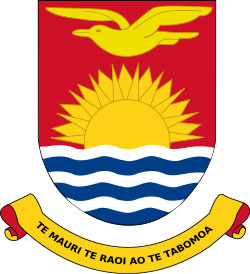 Its strategic objectives in Kiribati are in line with its Pacific Partnership approach. These consist of assisting rural people in remote areas and outer islands to produce, consume and market more local foods in environmentally sustainable ways. TOPICS WE COVER: IFAD provides a strong global platform for discussing rural policy issues – and for increasing awareness about why investment in agriculture and rural development is critical to reducing poverty and improving food security. The wide ranging-topics covered in this section highlight how experience in the field can be transformed into operations-oriented learning and knowledge. MISSION:The International Fund for Agricultural Development (IFAD) is a specialized agency of the UN and was established on the 30th November, 1977 as one of the major outcomes of the 1974 World Food Conference. The Fund’s objective is to mobilise additional resources to be made available on concessional terms primarily for financing projects specifically designed to improve food production systems, the nutritional level of the poorest populations in developing countries and the conditions of their lives. Through low-interests loans and grants, IFAD develops and finance projects that enable poor rural people to overcome poverty themselves, through individual or collective initiatives, projects and small businesses. Working with rural poor people, governments, donors, non-governmental organisations and many other partners, IFAD focuses on country-specific solutions, which can involve increasing rural poor people’s access to financial services, markets, technology, land and other natural resources.